Departing from Greece in April of 2012, Nikos and Georgia have been overlanding the world, or as they will tell you “Travel-Living” full time. They’ve crossed over forty five countries from Europe, Africa and the Americas, they’ve driven a staggering 137,387 km. (85,368 mi.) with a goal to put as many pins in ... See More the world map and visit as many places as possible. No question, they accomplished exceptional things, met new people and Lived the Adventure; Wow! This is a great two part episode as we learn why they started their overlanding trip in a Suzuki Grand Vitara 4X4, sold it and moved into a Toyota Hiace (small cargo van). 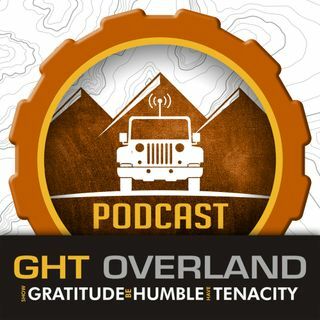 We learn about financing, working as overlanders; along with all the details, challenges and discoveries of a long-term overland trip.